We offer a broad spectrum of tasks - project work is our strength. In our teams, we combine technology competence and the expertise of our people. We think and act with an interdisciplinary approach, we are solution-oriented and move forward together with our customers. 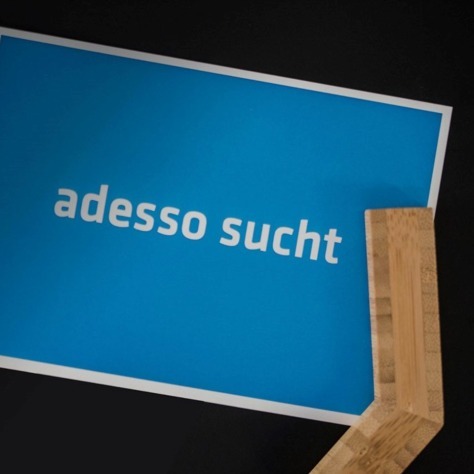 Challenging projects await you at adesso. And we need people like you. People who are proactive and proud of their work. On a wide range of topics, across all divisions and hierarchy levels. Our tasks can only be fulfilled with an open exchange and mutual support. We understand that your job is an important part of your life - but not the only part. We therefore try to ensure a better work-life balance for our employees. At adesso it’s the better factual argument that counts - regardless of hierarchy. We talk to each other openly and honestly. Open doors, short decision-making pathways, and mutual support form the basis for our collaboration culture. For us, appreciation is more than just a well-equipped workplace, bonuses, performance-related pay or a share of our profits. Our adessi have a true sense of team spirit and know that they can rely on fairness and respect. We show our appreciation every day. Sevinç Cin from the recruiting team is looking forward to hearing from you. See our jobs database for open positions.